The Washington State Department of Licensing has released the salaries for all the athletes that participated in this past Saturday’s “UFC Fight Night 24″ event inside the Key Arena in Seattle. 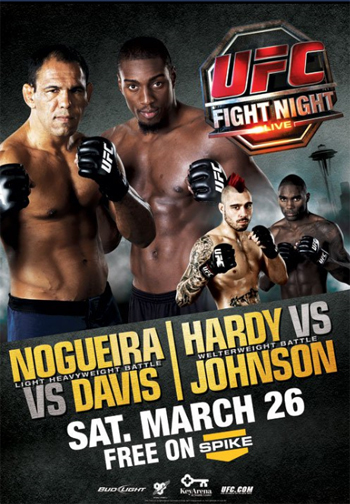 Although Phil Davis posted a lopsided unanimous decision victory over Antonio Rogerio Nogueira in the card’s featured attraction, Little Nog still left Seattle with the night’s largest paycheck. Nogueira earned $90,000 for his 15 minutes of work, while Davis left with $34K after bumping his record to a perfect 9-0. The roster’s total disclosed payroll was $537,000.